AZADIAN LAW GROUP, PC REGULARLY REPRESENTS CLIENTS THROUGHOUT LOS ANGELES WHO ARE THE VICTIMS OF DISCRIMINATION AT WORK DUE TO THEIR RELIGION. The Los Angeles Religion Discrimination Employment Lawyers at Azadian Law Group, PC know that discrimination on the basis of an employee’s religion still regularly occurs. We understand how being discriminated or harassed at work due to your religion is a degrading, humiliating, and offensive experience for employees. Employers often refuse to take adequate measures to protect employees from discrimination by supervisors and co-workers. Employees who are brave enough to complain about being treated differently due to their religion or discrimination are often the target of retaliation and discrimination due to their complaints. Religious discrimination can be based on stereotypes held by employers or supervisors as well as their desire to promote employees who they feel are more similar to themselves. The award winning employment lawyers at Azadian Law Group, PC fight employers aggressively to make sure they secure the maximum recovery for employees who have been discriminated against at work. Religious discrimination involves treating an applicant or employee unfavorably because of his or her religious beliefs. 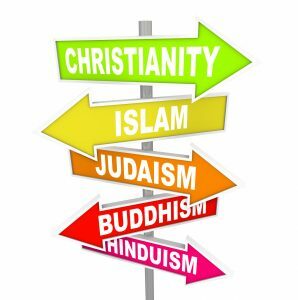 The law protects not only people who belong to traditional, organized religions, such as Buddhism, Christianity, Hinduism, Islam, and Judaism, but also others who have sincerely held religious, ethical or moral beliefs. Religious discrimination can also involve treating someone differently because that person is married to (or associated with) an individual of a particular religion or because of his or her connection with a religious organization or group. Certain laws also may require accommodating employees’ religious practices and observances, including religious dress and grooming practices. It is illegal to harass a person because of his or her religion, such as offensive remarks about a person’s religious beliefs or practices. Although the law doesn’t prohibit simple teasing, offhand comments, or isolated incidents that aren’t very serious, harassment is illegal when it is so frequent or severe that it creates a hostile or offensive work environment or when it results in an adverse employment decision (such as the victim being fired or demoted).